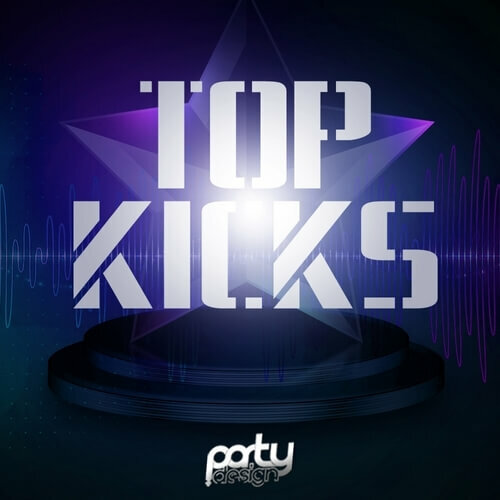 ‘Top Kicks’ is the first in a brand new series from Party Design. Inside you will find cleverly designed tonal, distorted, soft, and hard kick drums, all optimised with maximum power and depth. These kicks are must-have samples in your library. You’ll find 50 amazing kick samples suitable for Progressive, House, Dutch, Electro and Trance genres. If you want to rock the dancefloor, you have to have this pack. All samples were designed to give you the most popular drums inspired by artists like Dimitri Vegas, Like Mike, Chuckie, W&W, Sandro Silva, Quintino, Laidback Luke, Armin van Buuren, Hardwell, Martin Garrix, Ummet Ozcan and MEM. Inside you will find seven bonus lead loops.